The Firestreak SST (Simple Snap Together) is the first ever snap together rocket. 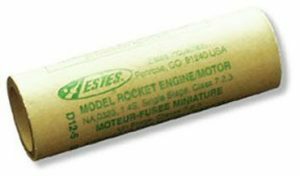 The Estes rocket designers developed this truly unique snap together assembly technology, making this one of the quickest model rocket kits you will ever build. At just over 10 inches, this rocket features an aerodynamically clean design for super high launch heights and is sure to be one of the most reliable rockets you can have in your fleet. If you want to spend more time at the field flying instead of building, then this colorful rocket is exactly what you’re looking for. Assembly is so quick that if you are really short on time, you can assemble it at the launch site and be ready to send this speedy mini rocket into the air in less than 15 minutes! 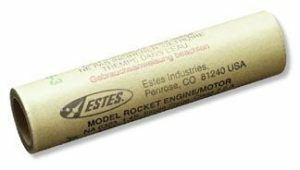 The Firestreak SST is from the E2X – Easy to Assemble rocket series. 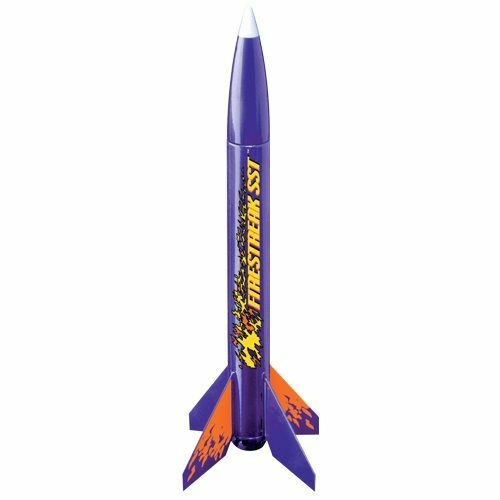 No painting or gluing is necessary as the rocket is molded in a bright purple color and also features colorful, easy to apply self-stick decals! This cloud reaching mini brute uses space saving and economical mini engines and can easily reach over 350 feet high. A bright orange recovery streamer makes it easy to track and retrieve when launching.